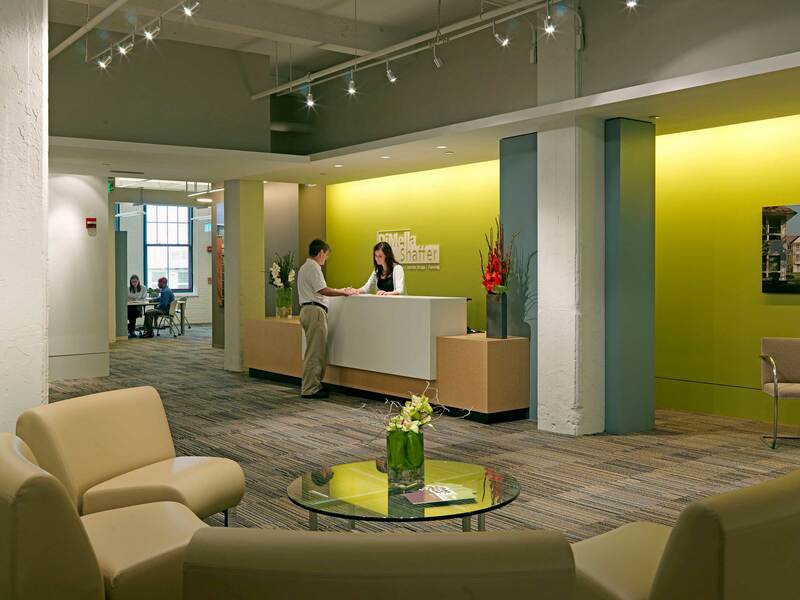 Continually growing and facing an outmoded office space, the firm began a search for a new space. Following an extensive search, an old warehouse space was chosen based on the opportunity to fit out the space to reflect the culture of collaboration and to meet the present and future needs. 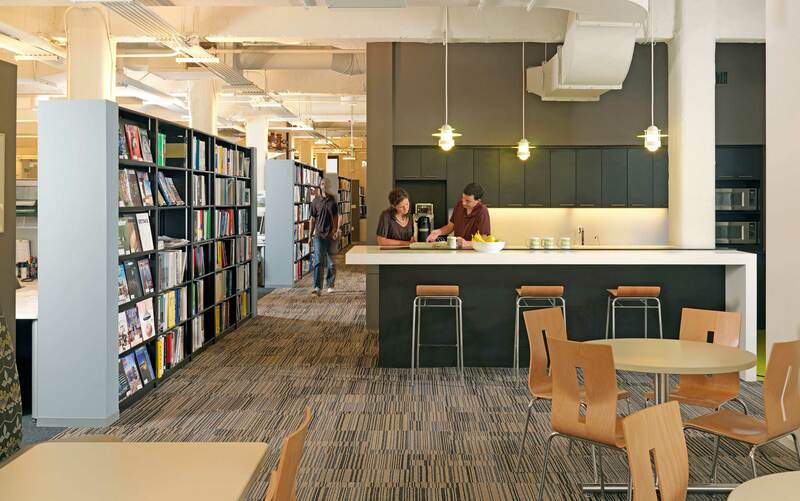 In keeping with the nature of the business, the loft-like space was crafted into flexible team-based zones to facilitate open discussion and staff interaction, with large common work spaces incorporated at convenient locations. 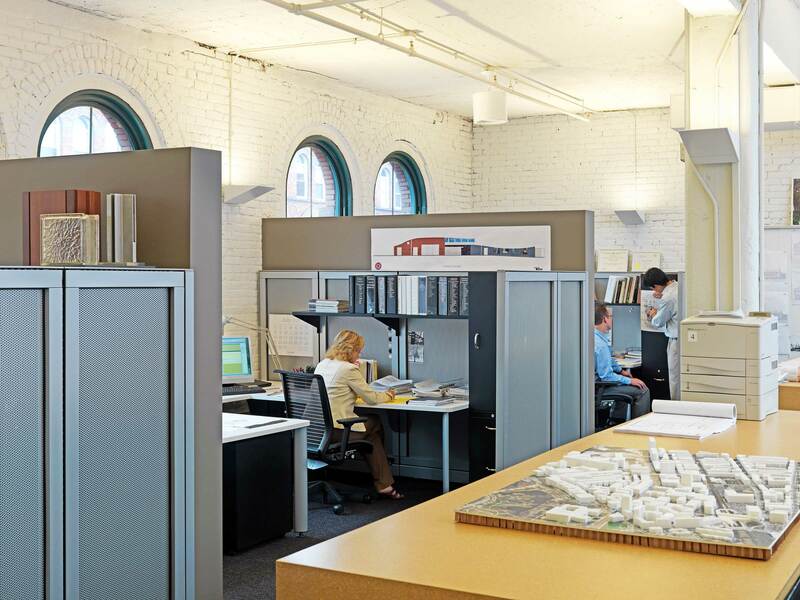 The functionality of the space was paramount, leading to the efficient placement of centralized office functions, such as the production area, design library, model studio, and office files. 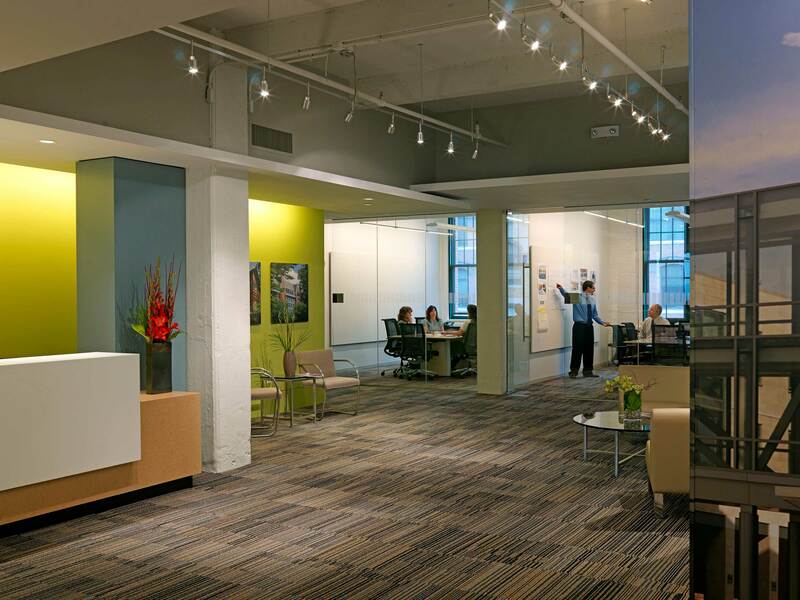 The final project reflected the more contemporary branding and provided work space as well as space for client interaction. Entering into the main lobby surrounded by conference rooms allows the activity to be visible and prominent, energizing the overall office. The cafe location allows for informal gathering during the workday and after hours.